Seasons Greetings to all Manchester City fans and to those of you making the trip to Hull on Boxing Day, have a safe journey! City will be looking to make it three league wins on the bounce when they visit the KCOM Stadium against a Hull team that sit rock bottom, but are unbeaten in their last three on home turf. With Liverpool coming up, Pep Guardiola also must think ahead, but it is important to field a strong eleven against Mike Phelan’s side. Pep Guardiola seemed pretty peppy when asked about City’s current injury situation in Friday’s press conference. He smiled, before explaining that Kompany and Gundogan are “of course, not available”, whilst Pablo Zabaleta has a small problem with his knee but is expected to train before the 26th. “The others though, they’re all OK”, said Guardiola – which is exactly what you want to hear ahead of the gruelling Christmas schedule: which sees City play 4 games in the space of 12 days. Fernandinho will undoubtedly come straight back in for Fernando, no question. Prior to his suspension he’d played every single Premier League minute for us this season, which gives you an idea of how important he is to this Guardiola side. The big decision, I think, is whether to continue with a false 9 – whether that be Sterling, Nolito or De Bruyne, or whether to bring Kelechi back into the fold. My inkling is that he’ll go for the latter. It’s a difficult pick and if we’re being completely honest, there’s almost no point trying to predict a Guardiola side. But as that’s exactly what I’m here to do – I’ll go with Kelechi. Hull are awful at the back. They’ve got the second worst defence in the league for god’s sake, so considering we’ll probably have the lions share of possession and should create a multitude of chances, I think Kelechi is the best option. This though, leaves Guardiola with a bit of a selection headache. Leroy Sané gave us a couple of glimpses of his unbelievable potential against Arsenal and has been growing into the side, but I think he could be the one to miss out. Hull have a robust midfield of Huddlestone and Livermore, which makes Yaya’s physicality and experience a must. As for the others, there’s no way he’ll drop De Bruyne, Silva or Sterling, so… there’s your midfield! 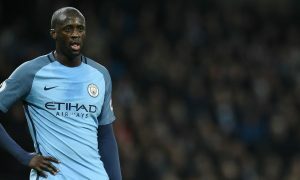 Touching on the defence just quickly, Sagna will come back in for Zabaleta whilst Pep has a decision to make on whether to leave John Stones out of the starting line-up for the third match in a row. Given his recent defensive lapses I understand (but don’t necessarily agree with) the decision to take him out of the limelight. At the end of the day, Stones is still only 22 and has been treated as our ‘go to’ central defender for most of this season. It’s been a lot of pressure on his shoulders and that will have undoubtedly taken its toll. Having said that though, I think he’s served his time and should be brought back into the fray – starting on Monday.